There are a number of ways to pay for your Home Care services including government funding, paying privately or even buying Home Care services for a loved one. Government funding is available and, depending on your circumstances, you may be eligible for subsidisation of the cost of your services. Government funding can be very complex and difficult to understand. That’s why we recommend that you call us and speak with one of our friendly Service Advisors who will be happy to explain the options available, answer your questions and help you through the process so that your experience is easy and quick as possible. Just call us on 1800 632 314. The Commonwealth Home Support Program is aimed at older people who need some help with common tasks. It can help by taking care of household jobs like cleaning, laundry and ironing, as well as more personal tasks like bathing or showering, dressing and grooming. You can download our CHSP fees policy here. 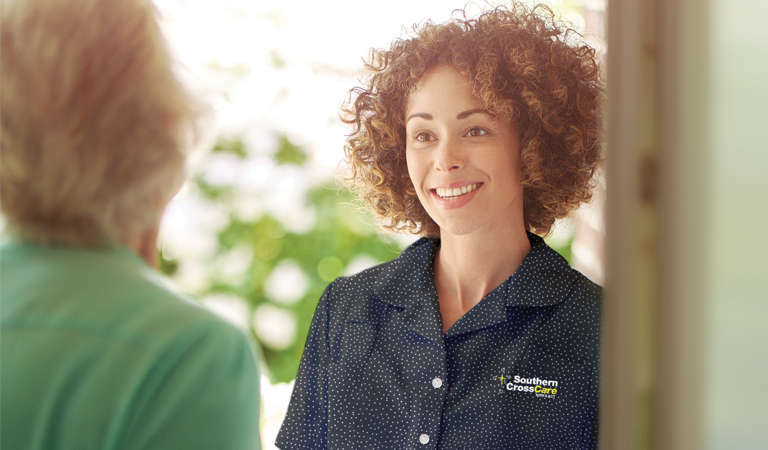 Southern Cross Care offers private services that cover a wide range of tasks and can be tailored to your individual needs. The cost will depend on the types of services you want and how often they are provided. If you’d like to pay privately, simply call us on 1800 632 314. Listen to our podcast on Home Care Funding, to better understand the process.